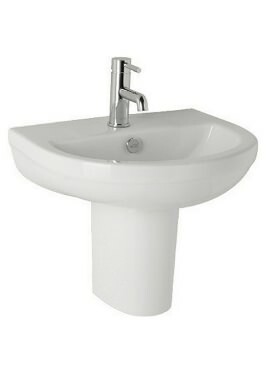 Bathrooms 365 present this chic and stylish Basin with a Semi Pedestal. 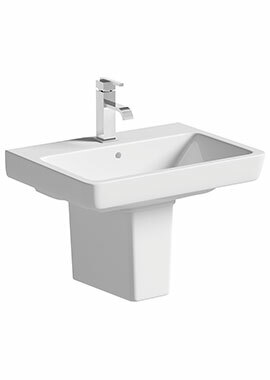 The glossy, white finish touch offers a unique look to the product which enhances it look. 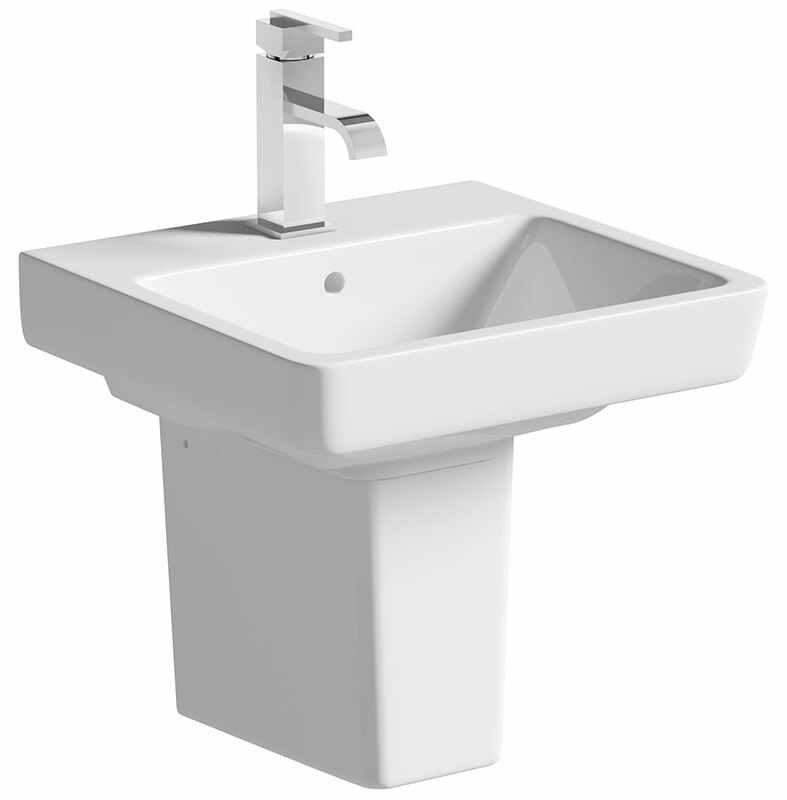 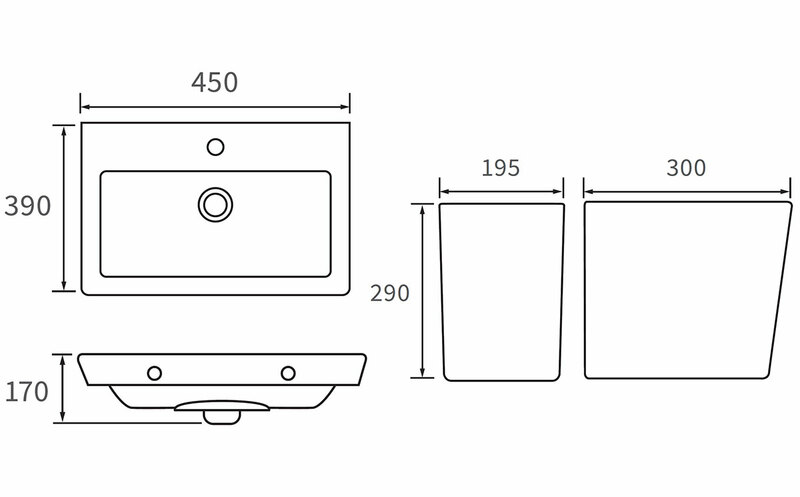 The basin is available in a dimension of 450mm*390mm*170mm whereas the pedestal is available in a dimension of 195mm*300mm*290mm. Do not worry about the durability of the product as it is made up of top quality ceramic material. 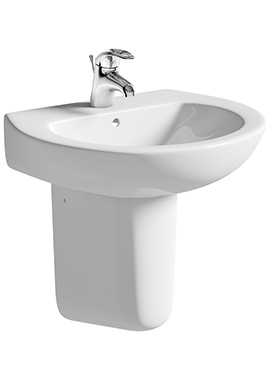 The pedestal is an added attractive feature of the product as it covers the pipework and gives a classy look. 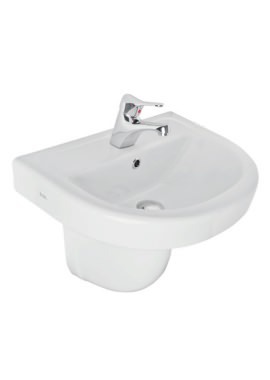 You can enjoy a lifetime guarantee on the product from the manufacturer.